Central bank heads have been at it again last week. And they have clearly all been singing from the same hymn sheet. The messages have been very similar from the bosses of the Fed, ECB and BOJ. The head of the Swedish Riksbank had a different and much more interesting message. More about that later. Why should we ever listen to any of these self-important central bankers. They are consistently inaccurate in their forecasts and policies. Their timing is always wrong as they are always behind the curve. 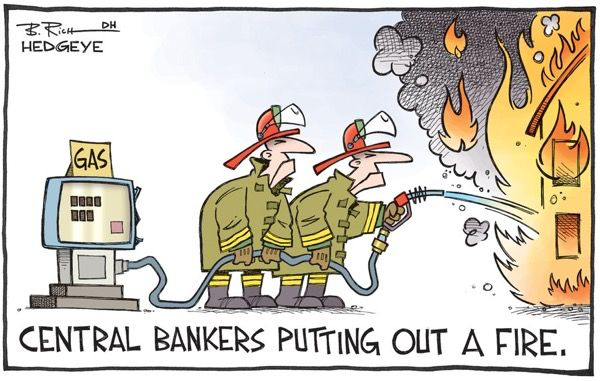 More importantly they are distorting the natural economic cycles by artificial manipulation of markets and thereby creating booms and busts of an enormous magnitude. The natural laws of ebb and flow or supply and demand are the best regulators of markets. If the economy was allowed to take its natural course, the world would not experience massive bubbles and nor the economic troughs with severe recessions or depressions. Central banks and bankers should not exist. They fulfil no purpose and the world economy would function so much better without them. If someone wonders why I have used caricatures rather than real photos of these bankers, the reason must be obvious. No one must take a central bank head seriously! 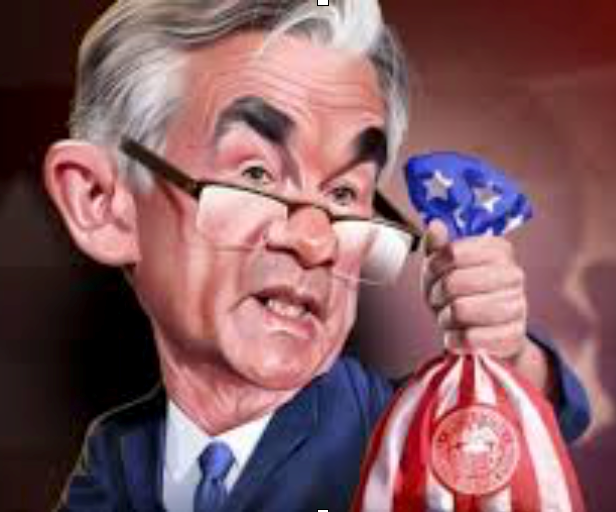 Starting with the Fed chairman, Jay Powell, Wall Street did not like what they heard from him: “My personal outlook for the economy has strengthened since December”. He thus vowed to forge ahead with interest rate increases to avoid an “overheated economy”. This was interpreted as a much faster rate of increases than the market had expected. And stocks did not take kindly to his message. The Dow has fallen 1,300 points since his statement and stock markets around the world have followed. But this fall is just the beginning. More about that later. 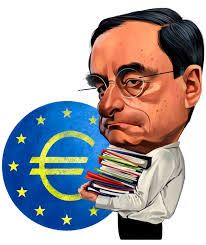 Mario Draghi, the president of the ECB, said last Monday that slack in the Eurozone might be bigger than previously estimated and this could slow the rise of inflation but only temporarily and prices will eventually climb. He also said the factors that slow down the rise of inflation will wane as growth continues. A few days later he suggested that the ECB remains confident that inflation is finally on an upward trend which will permit the bank to end its bond purchases programme this year. He is likely to eat these words as the Eurozone financial system comes under severe pressure, starting with bank failures in Italy, Greece and Spain. 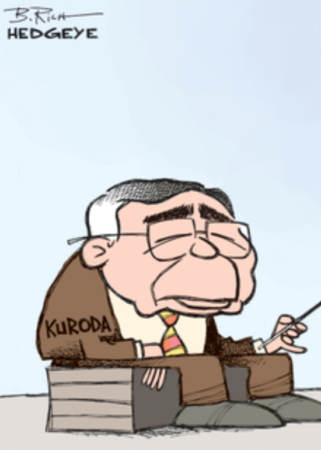 Finally Haruhiko Kuroda of the Bank of Japan (BOJ) joined the queue of the banks looking toward an exit of money printing. He stated that the BOJ will start thinking about how to end its monetary stimulus, beginning in 2019. The bank forecasts that inflation will reach its target of 2% in 2019. For over 25 years, Japan has tried to achieve inflation by printing unlimited amounts of money. This is a country that has over one quadrillion in debt and where the central bank is buying all of the debt that the country issues. Eventually the Japanese economy will disappear into the Pacific with very few young people to take care of an ageing population. So here we have three central bank heads who all believe that the trillions or quadrillions of money that they have printed over the years will finally bear fruit and create some minimal inflation of 2% or so. Firstly, it should of course not be the purpose of central banks to manufacture inflation. Inflation is a disease and not a virtue. Inflationary growth that central banks are trying to create by printing money has zero beneficial real effect on an economy. All it does is to give an illusory effect of growth which has no positive outcome. Secondly, the world economy is not about to generate inflationary growth. Instead what will happen is a debt and asset implosion that will kill the world economy for a very long time. The central bankers will respond the only way they know, by printing unlimited amounts of money. It is the coming money printing and currency debasement that will create inflation and hyperinflation and not the central bank stimulus. After 11 years of massive money printing, the world has achieved no real growth. 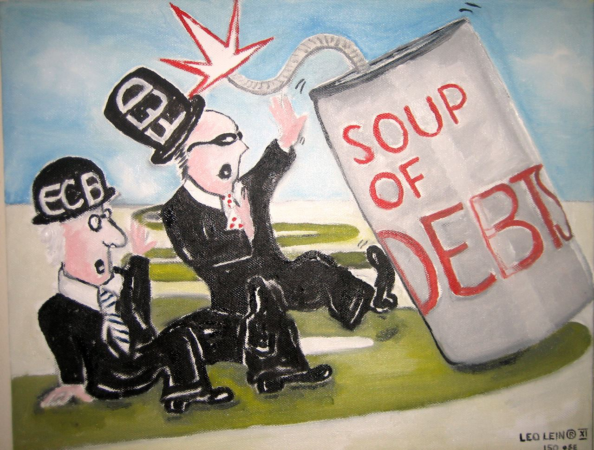 In the meantime global debt has doubled to $240 trillion which, if unfunded liabilities and derivatives are included, becomes a total liability for the world of $2 quadrillion. With global GDP at $80 trillion this means that total liabilities to GDP is 2,400%. Central banks just managed to kick the can down the road in 2007-9 but this time around, the can is just too big and the failure of the financial system is getting closer. Greenspan who started the mess the world is now in, has just stated “that the world is in a debt bubble”. He should have thought about that 30 years ago when he became chairman of the Fed rather than today. That was the time to stop it and not to start it. But Greenspan’s timing was just as disastrous as all other central bankers’. Let us finish the discussion of central bankers by mentioning someone who now realises that banning of cash actually makes the central bank powerless. 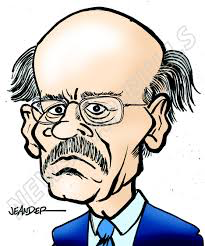 Stefan Ingves, head of the world’s oldest central bank, Sweden’s Riksbank, has just realised that the bank has now lost control of the cash in the country. In the last 10 years, the value of cash in circulation in Sweden has halved from 112 billion kronor to 50 billion. Many shops and banks refuse to handle cash at all. Ingves states that Sweden now has a situation where many commercial parties control the payment system. As I have often stated, It is a fallacy to believe that money printing is the prerogative of the central bank. When a commercial bank receives a deposit, it lends that money to someone less a minuscule reserve. That process is repeated many times thus expanding money supply infinitely. A credit card company also prints money and so do many other commercial entities by extending credit. All this money creation outside the central bank is highly inflationary and destroys the value of the currency which Sweden is experiencing, like many other countries. Ingves argues that the Riksbank is losing control of the currency which he says is problematic. A parliamentary commission is therefore now looking into how to protect the Swedish kronor issued by the Riksbank. This will lead to a new central bank regulation. Without a payment system that accepts the currency issued by the country, Ingves says, the Riksbank cannot carry out its role effectively. Interesting how a country that has been promoting a cashless society for tax evasion and money laundering purposes now realises that the consequences instead lead to a total loss of control of the country’s currency. In my article last week I mentioned that the gold price in Venezuelan Bolivars was VEF38 million at the official exchange rate. Well one week later the gold price went up to VEF46.5 million – a 22% increase in one week. And in the last week the gold price has surged to VEF52.6 million. Just like Sweden is on its way to do, Venezuela has lost control of its currency, albeit in a very different way. Matterhorn’s primary purpose is to protect investors from the substantial risks that we have identified in the stock, bond and property markets. The psychology of bull markets means that at the end of a major cycle, most investors are more confident than ever. Making money creates this confidence and greed prevents investors from protecting the gains. I have for some time been very clear that we are now at the end of a very major supercycle which is of a magnitude of at least 100 years but it could even be a 2000 year cycle. Historians will let the world know at some point in the future. Whatever the size of the cycle, the coming downturn in the world economy and markets will be devastating for the world. It is possible that we could have a final melt-up in markets that would last for yet a few months. But analysing many global stock markets, using our proprietary cycle system, it now looks more likely to me that the top is in for the Dow and for all the major US indices. Looking at most other world markets, the picture is similar. Canada, UK, Germany, Japan and many more, all show tops in January which are not confirmed by momentum indicators on weekly and monthly charts. That is normally a very bearish sign and a strong indication that the stimulus that central banks have injected around the globe no longer has any effect. If this is correct we will soon see a major decline in the US markets and also all world markets. This decline will be totally devastating as it is the end of a major cycle. We don’t see any important intermediate bottom until the summer of 2019. But this is the start of a secular bear market which has many, many years to go. 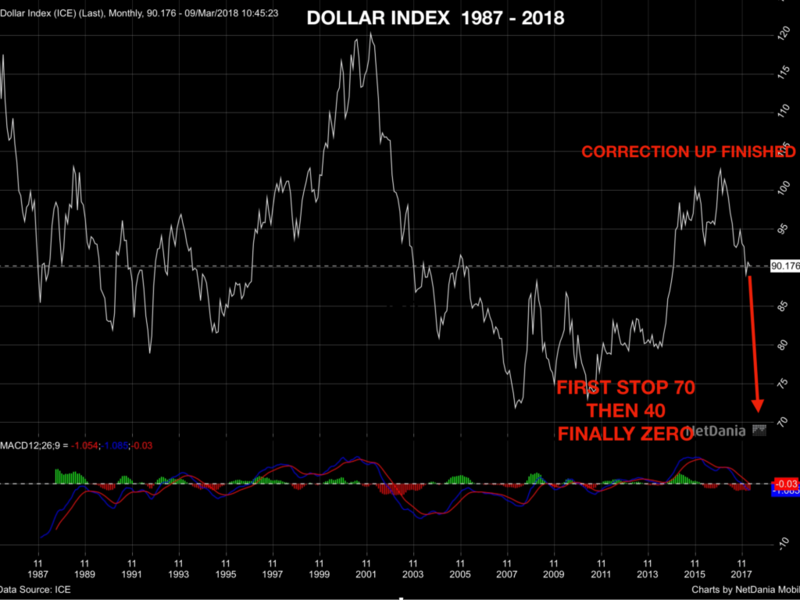 Although the dollar has looked oversold short term, this will not stop it from falling big. The dollar looks very weak and could fall precipitously from here. We have seen the end of the dollar empire, the petrodollar and the role of the dollar as reserve currency. We are not likely to see the first intermediate bottom until sometime in June – July 2019. The dollar will have a long but fast journey down. The dollar index is now 89 and the first target is 40, a 55% decline from here. Eventually it will join all other currencies in their fall to ZERO. Looking at the long term charts of gold in most currencies since 2000, it is clear that the uptrend is very strong and that the sideways move since 2013 is now coming to an end. In several currencies like the Australian and Canadian dollar, gold is virtually at the peak. In most other currencies, gold is not far from the 2011 peak. It is only against the dollar that gold is slightly weaker due to the temporary dollar strength. That will soon change. Looking at the quarterly charts of gold below, it is clear that gold is in a strong uptrend and has only paused and reenergised for a few years ready for the next move up. During 2018, we are likely to see a very strong move in gold in all currencies. Silver will move up extremely fast and a lot faster at twice the speed of gold. The imminent dollar and stock market falls are likely to trigger an up move in the precious metals very soon. Sticking your neck out with specific forecasts is always dangerous. But the market situation is now precarious in most asset classes. I could of course be wrong in the short term but I am not wrong in that the risk is higher than at any point in history. Therefore now is the time for investors to protect themselves. It is irrelevant if it takes days or months for the trends to turn as I have forecast above. What is guaranteed is that we will have a major and devastating global fire. Now is the time to buy insurance before the fire starts.